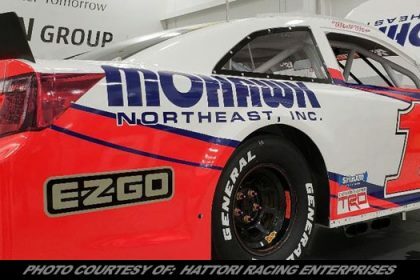 Story By: KYLE SOUZA / NASCAR – DAYTONA BEACH, FL – Even though there are still three months before the drop of the first green flag for the NASCAR Whelen Modified Tour season, Timmy Solomito is eager to hit the track again. And if his last two years of results show anything, Solomito is going to be a major threat for the championship in 2018. 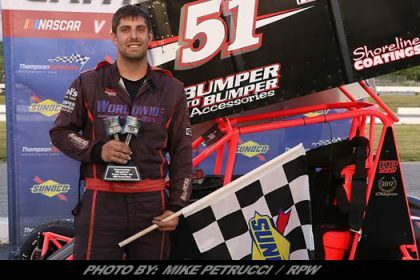 The Islip, New York, driver, who has frequented Victory Lane in the last two years, will be entering his fifth season of full-time competition on the tour. 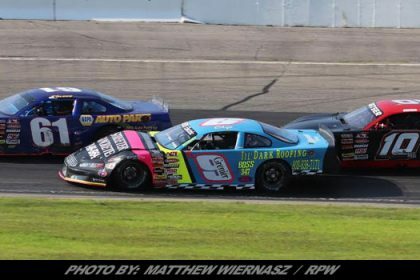 The season will also be his fourth driving for Eric Sanderson and the Flamingo Motorsports team — a combination that has been successful right from their first race together. 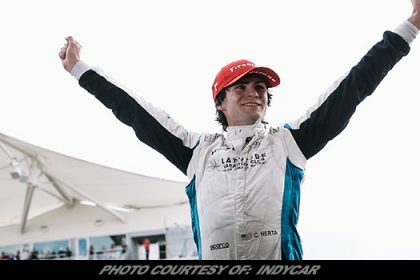 In 2015, Solomito finished sixth in the championship standings and scored three finishes inside the top five. 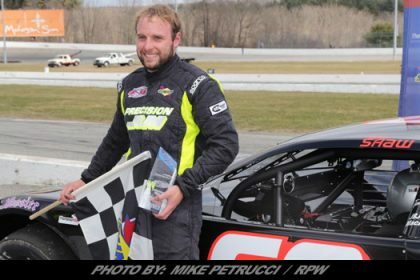 A year later, he opened the 2016 season by winning the Icebreaker at Thompson Speedway Motorsports Park in Connecticut, his first victory on the tour. Since then, he has put together a stat line that includes eight more victories and finishes of third and second in the standings in the last two years. Entering 2018, Solomito is looking to take that next step. After two seasons of coming close to capturing his first title, the 26-year-old is hoping the experience the team has collected will aide them in achieving their ultimate goal. In the first six races of 2017, Solomito won three times. But a difficult stretch in the summer, which included four finishes outside the top 10 and two DNFs, ultimately hurt his chances. For the second straight season, Solomito’s team will welcome Starrett Tools back as their primary sponsor. The Athol, Massachusetts, company also sponsored tour regular Matt Swanson during the 2017 season. 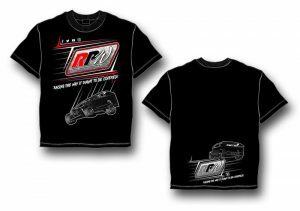 They have extended their sponsorship and also joined the contingency program at Stafford Motor Speedway as well for 2018. 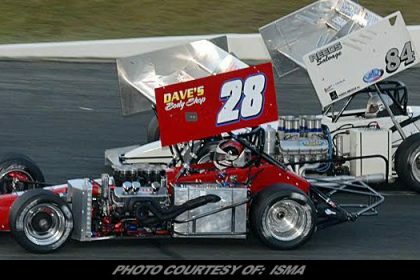 Solomito has seen five-time champion Doug Coby have plenty of success as of late, but is hoping he can be the driver that can take him off the top of the series. 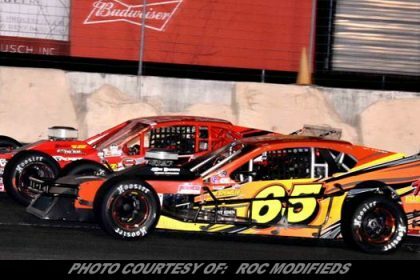 The NASCAR Whelen Modified Tour season begins on Saturday, March 17, at South Carolina’s Myrtle Beach Speedway, where Solomito is the defending winner of the 150-lap event. The 2018 schedule includes 16 points championship events and one non-points event at New Hampshire Motor Speedway. It will conclude at Thompson in October. 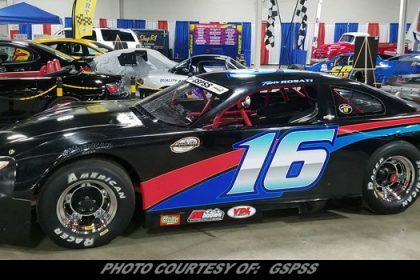 However, before the season gets underway, Solomito has planned to compete in the 52nd annual World Series of Asphalt Stock Car Racing at New Smyrna Speedway in the Tour-Type Modified division. 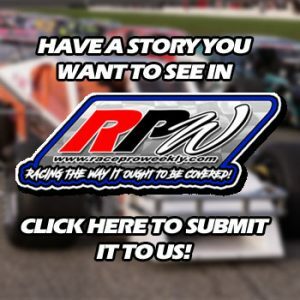 For a former Riverhead Raceway regular entering his fifth full-time season on the NASCAR Whelen Modified Tour, Solomito has come a long way.